When you are 3D printing BIG! No need to set your alarm clock to wake you up halfway through the evening to change filaments, just print and go! An easy to print Premium PLA, extremely low warp (if at all) slightly modified PLA to give your prints extra strength and durability. 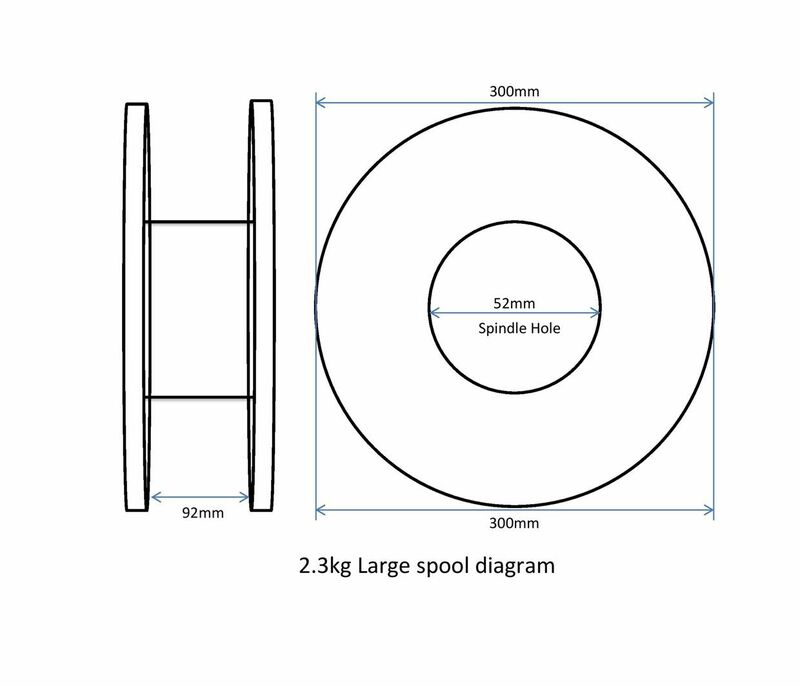 This sized spool is delivered using our Next Day UK Mail delivery service, UK Mainland Weekdays only, for no extra charge! When you are 3D printing BIG! No need to set your alarm clock to wake you up halfway through the evening to change filaments, just print and go! 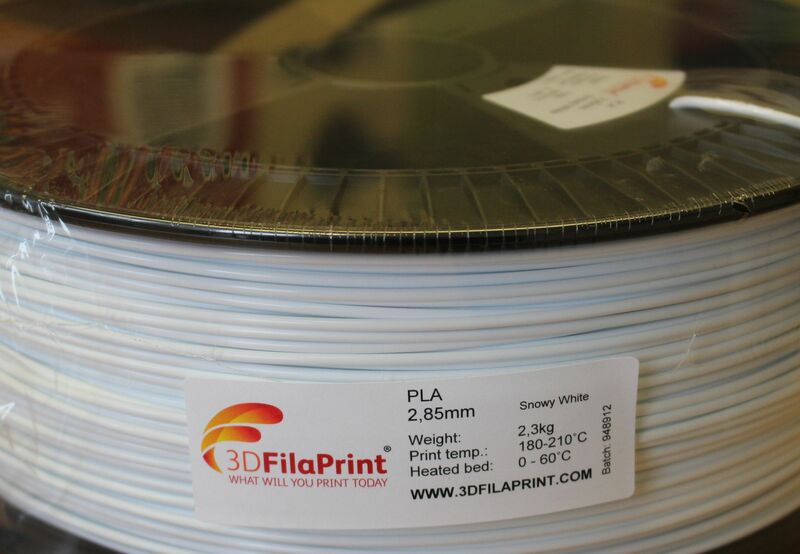 Snow White FilaPrint Premium PLA. Low warp, easy to print. 2.3 KG of premium 3D Printer Filament, amazing value for money. This filament spool is shrink wrapped, ensuring that it arrives with you moisture free and ready to print. Fantastic layer bonding, low temperature printing, no heated platform necessary, lays down beautifully on a bed of 3M Blue Tape or most all 3D printer surfaces.